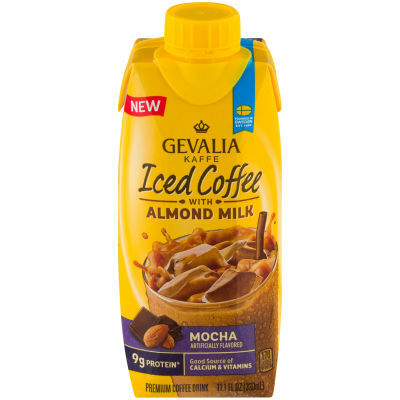 Irresistible Iced Coffee - Gevalia Iced Coffee with Almond Milk is crafted from rich, never bitter 100% Arabica beans. Best served chilled, this premium coffee drink offers a tasty twist on your average iced coffee beverage. Flavorful Mocha Treat - Refreshingly cool, this creamy almond milk beverage has a touch of mocha and just enough sweetness to tempt your taste buds. In addition to its irresistible taste, this lactose-free beverage is a good source of calcium and vitamins A & E. You'll enjoy its rich, creamy taste any time of day.